class="post-template-default single single-post postid-286787 single-format-standard group-blog masthead-fixed full-width singular wpb-js-composer js-comp-ver-5.7 vc_responsive"
LINCOLN, Neb. (Jan. 26, 2017) – Nebraska Cattlemen (NC) Board of Directors met in Lincoln for their annual legislative meeting this week. Six NC committees brought numerous new Nebraska Legislative bills and resolutions to the board’s attention and revisited bills of interest identified last year that are still alive in the legislative process. Under close review, in accordance to NC Policy, the Board of Directors considered and took positions on over 50 pieces of legislation and again in 2018, property tax reform and relief are the priorities for the year. Nebraska Cattlemen recognizes agricultural property owners pay a disproportionate share of Nebraska’s total property tax liability. While no single bill introduced this year is a complete solution to lowering property taxes, ideas exist in many bills that could lead to broad, long-term tax relief that begins immediately. Nebraska Cattlemen voted to support and monitor multiple bills this session and will work to align those bills with NC policy. The Board of Directors encourages the Legislature to consider a comprehensive plan that would reform and reduce that burden. 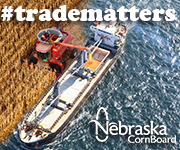 The board took positions to support and monitor bills that would ease the property tax burden tax and opposed bills that would add more costs to Nebraska agricultural families by adding new taxes or removing exemptions on inputs to business. NC recommends a broad legislative package that would include lowering and/or capping agricultural land valuations of real property, increasing and protecting the Property Tax Credit Fund, modifications to school funding that reduces the reliance on local property tax dollars and increases overall state dollars for K-12 education, implementing a refundable tax credit for property taxes paid, shifting the current tax burden or modifying/increasing existing revenues to bring dollar for dollar property tax reductions, spending restraints and prudent financial management at all levels of government, and defeating efforts that further burden property tax payers in Nebraska. “Our organization diligently reviewed bills in accordance to NC policy and took a stance on proposed legislation this week on behalf of members throughout the state. 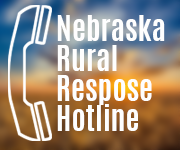 I am confident the decisions of Nebraska Cattlemen’s Board of Directors will encourage our Legislature to pursue this comprehensive approach to provide meaningful, long term property tax relief for all Nebraskans,” said Mike Drinnin, chairman of NC Legislative Committee.